Tulips, and learning to play the long game. In House & Home, New House, Time Management. I’ve always loved tulips. I have zero desire to relive my days as a college student, except for those two weeks of April when the tulips on the quad were in bloom. My favorite part of Chicago in April was the glorious bulbs abloom on the Mag Mile. In my post-college days, I plan my running routes and my drives home to align with the neighborhood’s best floral displays, my heart filling with gratitude for the neighbors who plant tulips in generous clumps (and hollering why???? to the neighbors who line their walkways with one lonely tulip every three feet). For almost fifteen years, I’ve had a yard to call mine, and—aside from some pretty normal city codes—complete control over what to plant in it. Every spring when the bulbs start popping up, I think I wish I’d planted tulips. There’s no reason I can’t. 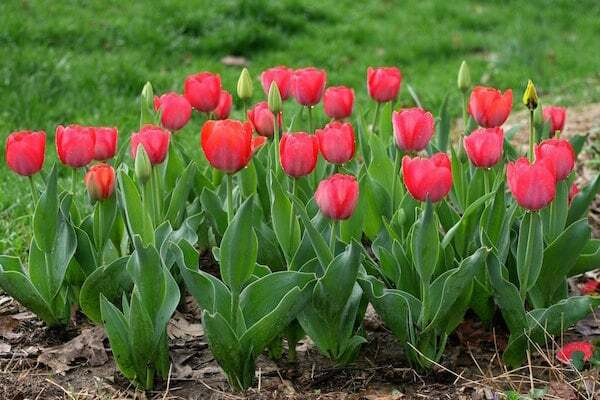 But there’s one small problem: to enjoy tulips in the spring, you must plant them in the fall. And this is something I can never, ever remember at planting time. I was determined that this year would be different, again. Last year I wanted a fresh start for our first spring in the new house: a fresh start with lots of tulips. My goal wasn’t particularly ambitious: I didn’t want a breathtaking display worthy of a college campus or the Mag Mile or Southern Living. I just wanted a few generous clumps that actually bloomed. I almost forgot: I waited so long to buy my bulbs that they were already on clearance at Lowe’s. A friend helped me plant them that first year, a few weeks after the recommended time for my area, just a few hours before a cold front blew into town, sending ground temperatures plunging and making further digging impossible. She invited herself over to do it (thank goodness); I don’t think it would have happened without her. This year I was eager for a repeat performance. I thought last year’s tulips would come back, but I didn’t want to risk a spring without blooms. I bought my bulbs early and planted them on time, all by myself. We’re enjoying a beautiful early spring around here, and this week my tulips—old and new—burst into glorious bloom, again. I’m not much of a planner by nature. 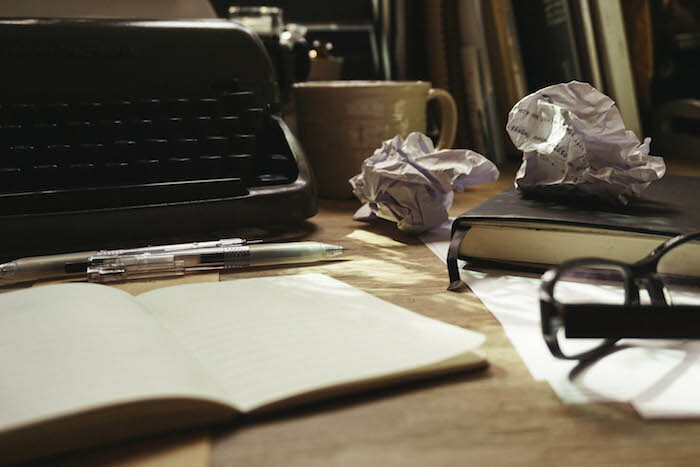 But I’ve gotten better over the past few years: I’ve learned a few strategies and survival mechanisms that work for me; I’ve adapted some habits that help compensate for my tendency to fly by the seat of my pants. I’m obscenely proud of myself. They’re just tulips, but they represent a personal victory. They make me smile every time I see them, not just because they’re beautiful (which they are), but because after fifteen years of wishing I’d actually planted some when the time was right, I’m finally doing it. Can you relate? I welcome your thoughts on planning ahead, personal victories, and besting your natural inclinations in comments. Next:6 things I learned in March. Congrats on your success with the tulips! There is a flowering shrub here in Japan called sweet olive and when it blooms in the fall the whole town smells like floral-infused honey. I asked one of my co-workers the Japanese name, found an online retailer, figured out how to place an order, and had one delivered to my door last spring. It bloomed in the fall! I’m leaving Japan later this year, but before I go I’m going to move the little bush from its pot and plant it in the yard. I hope it lives for many more seasons! They are beautiful! Thank you for being an inspiration to plan for things that you enjoy seeing and doing, even if it takes more effort. That’s wonderful! Congrats on your gorgeous flowers and for making them happen. I’m a sucker for tulips myself. This is such a great example of the rewards of thinking ahead. I’ve been working on making mid and long term goals to think way ahead. Our dream is to own a home on one of the lakes around here, but I know that won’t happen without years of planning ahead and saving. Thank you so much for this post. I would suggest you check out The One Thing and The Power of Habit. They have really helped me in navigating to success with this same personality programming. Congratulations on your tulips, they’re beautiful! What you’ve described is so true of me too. Every year I wish I had planned ahead to do something special with the kids for pretty much every holiday, but then the press of keeping my head above water crowds that out again almost immediately. Your post just prompted me to go look up a couple of upcoming holidays and write them on the calendar in my Bullet Journal so I can remember to do something for them before the night before! Wow, that’s exactly how I’ve been feeling. I’ve been wanting to plant tulips in our yard for years since our first set were all dug up by squirrels a few years after my Dad planted them when we moved into our house. Every fall, I mean to plant them and never get around to it. Last fall, I was close, I bought the bulbs and then we had a complete and utter plumbing disaster in the house and the bulbs were tossed somewhere (I think maybe to the shed) so I’ll have to try again this fall. I do love tulips and especially people who plant them in clumps. 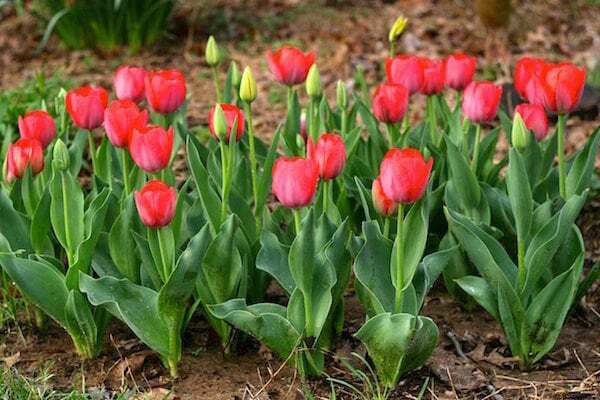 I really want to plant alternating clumps of daffodils and tulips so as one is dying back, the others come in. I am terrible at planning ahead! I love tulips too! One of my favorite flowers. I had a few come up but it looks like they might not bloom. 🙁 I will have to plant a bunch of bulbs this fall. Maybe I will write it in my planner right now! They are lovely! I’m envious…my one attempt at a tulip display came after my step daughter went to Holland and brought us a bunch of bulbs which my husband dutifully planted. They came up, bloomed beautifully. The first day, as I ran off to work, I decided to take a picture the next morning to send to Anna to thank her. But when I went outside the next morning, they were GONE! Deer came by and chomped off every single blossom! I surrendered…no more tulip deer food in my yard. I’m sticking with the camellias they won’t touch. I can totally relate. Tulips are spectacular and bring so much joy in bloom. Every year I say I am going to plant bulbs — and I don’t — and I am sad in the spring when everyone ELSE has spectacular flowers. You inspired me! I decided to look-up when to plant tulips in my area, and I put a task reminder in Outlook to bug me to do it! Fingers crossed that NEXT year (after 12 years in this house), I’ll have tulips! I love tulips! I have a friend who planted hundreds! Well those tulips have baby bulbs and she would dig those up and store them until it was time to plant in the fall. Sometimes people plant sparsely knowing that they divide and in a few years there will be a bunch surrounding that single tulip. We bought our 1906 Denver square house four years ago out of foreclosure. It’s been a very long game and unfortunately except for the very basic landscaping we haven’t done much. I did get lilac bushes planted because they smell amazing when they blossom! As we finish the inside of our house, we are excited to get outdoors! Beautiful tulips!! Your tulips are beautiful, congrats! I pass an open lot on my way home, and this year the wildflowers must have tripled – full of wild primrose. Sure makes the drive home more cheerful! Your story could be mine! Only with daffodils. I’m so proud that last fall my husband and I planted the bulbs (after many years of meaning to plant bulbs), and now we have beautiful, sunny yellow daffodils!! It makes me very happy! Maybe this fall we will remember to plant tulips! “Besting your natural inclinations” makes me think of the tattoo that I got this year (at the ripe ole age of 41): It’s from Hamlet, and it says “Let be.” My tendency is to try to control everything and be in charge and think that I am responsible for every outcome. But I’m not, so I have to just let be sometimes! Learning a new language!! I started teaching myself French a couple of years ago. It’s soooo slow going for this time-starved, sleep-deprived, middle-aged brain of mine. But I think the true value of learning a second language is that it’s teaching me some important “long game” life lessons. There is nothing compared to the thrill of recognizing a West African or Haitian’s French in the grocery store in my neighborhood and being able to say hello. Last summer I was in the thick of morning sickness and bought bags and bags of bulbs just to keep my kids busy. Now I have flowers everywhere! This week I’ve been thinking about how to love/care for my future self, rather than loving myself right this minute. When I think of what bring me pleasure right now, I’m thinking cookies and a fun read like “The Royal We.” But loving me in the future looks more like going for a walk when the sun’s out and drinking more water. This is genius! I never thought of it this way, loving my future self versus loving me at this moment. I think this will help me transform some time wasters in my life. Same! I have wanted tulips every spring for the seven years we’ve been in this house, but I never actually take the steps to plant them in the fall… Maybe this year! One plus to living in the Oregon Valley, our ground doesn’t get frozen solid. In the fall my mom would buy her bulbs and put them in the freezer because she ran a store where we were busy until Christmas. Then during the break we would spend time outside planting our bulbs. The flowers would be magnificent and we would all be proud of our accomplishment. This is awesome and they are gorgeous! Fist bump!! They look terrific. What a joy. My 50-bulb stretch of tulips have worn themselves out over the past 5 years or so. The stems are there right now. No flowers though……will try again at next house. I would like red and yellow again…..orange and purple…..shades of pink. So, here’s a question: what do we plant now for fall? Anything? Brava, Anne! I never thought I had a green thumb, but I have this theory that, with some people like me, the green thumb develops with age. My spinach is growing. My tiny flower pot have little green sprouts that popped out today, and my green onions successfully grow in a recycled glass spaghetti jar filled with water. But my herbs drowned because I didn’t check the weather and the rain accumulated since I used a planter without drainage holes. It’s a learning process. BTW, your tulips are beautiful! We’ve been here 24 years. I love tulips, but have never planted them either. Way to go! I am encouraged to plant some this fall. By fall I was always tired of the garden but found that when we had a warm spell in February, I could plant all those bulbs that I purchased with good intentions in the fall. They just needed 6 weeks of cold so I ended up with a garden full of tulips. Sometimes we just have to adapt to changes in life. Your Tulips are gorgeous.I live in the Caribbean and have always enjoyed them in pics. Two years ago I spent Easter in Lo don and saw them in Buckingham Palace Gardens. Well I could not catch my breath they were so perfect. I know I will treasure the memory every Easter for years to come. So have you ever done the Canadian Tulip Festival in Ottawa? Such a cool history behind it, and one of the most beautiful places on earth! No but that sounds amazing! My husband manages a garden center, so one would think I’d be on top of the gardening. However, last year I was planting tulips in December, scraping away snow to get to the still unfrozen ground. Thank goodness it was a milder start to winter. And they all came up beautifully. 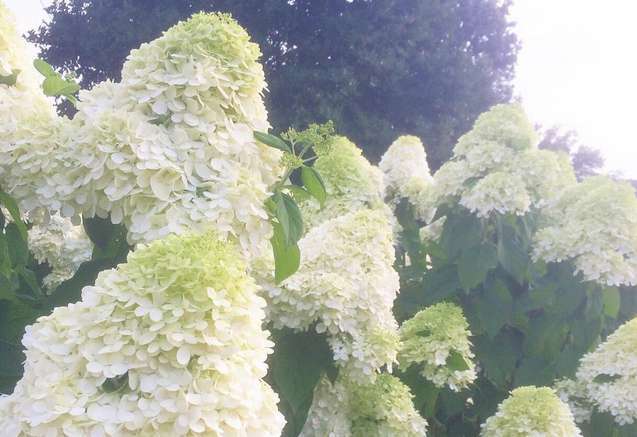 My husband’s grandfather, and experiencedon’t gardner, told me to plant in clumps of 5, 7, and 9. Odd numbers look better. I’m afraid by the end I was randomly dumping and covering.